LOAD UP ON YOUR BBQ AND TAILGATING NEEDS! Greetings everyone! We hope you had a wonderful summer and a nice start to autumn. The slight drop in temperature is always a welcome change and makes for comfortable weather to spend time outdoors. It’s also the beginning of FOOTBALL SEASON! 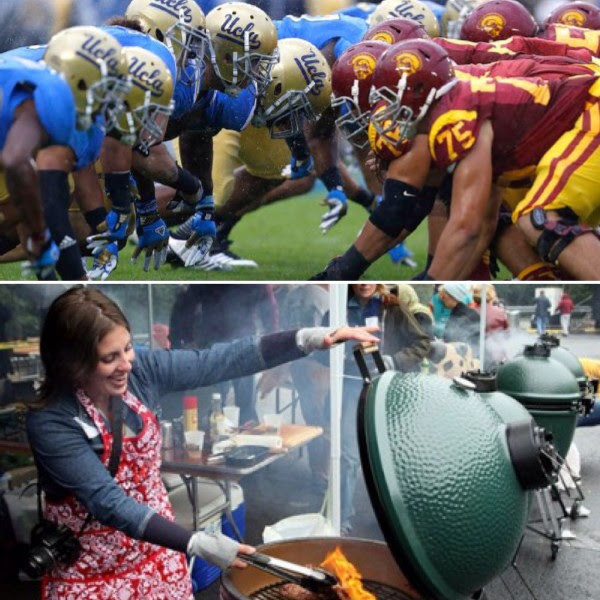 The Rose Bowl — “The Grandaddy of Them All” — has been a Pasadena staple since 1902. Fishbecks was founded in 1899. What better way to celebrate a time-honored local tradition than to support a local business? We are an authorized Big Green Egg dealer and carry several other barbecue lines such as Louisiana Grills, Saber Grills, Beefeater Grills, and more. Whether you plan to fire up some bratwurst at the tailgate or host a watch party at home, Fishbecks has you covered. Feel free to give us a call or stop by today! Although our Endless Summer Sale has ended, many of our markdown prices remain! We are still offering up to 60% off a large selection of in-stock merchandise and are continuing to add more items daily. 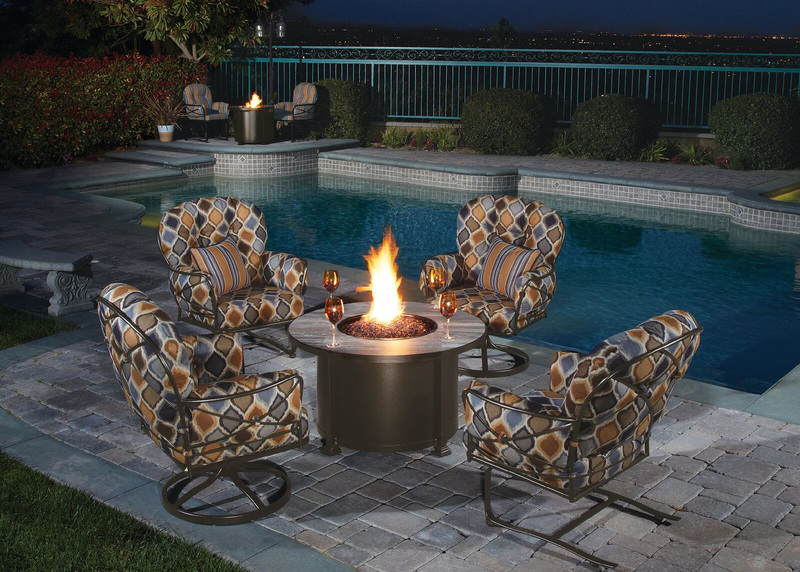 The crisp autumn climate is perfect for nestling up to a fire pit or outdoor fireplace. Pair those with a set of deep seating club chairs and you may never want to leave the patio or back yard again! Summer may be behind us but the best times to spend outdoors have only just begun! Call or stop by today. The Cambria Collection by O.W. 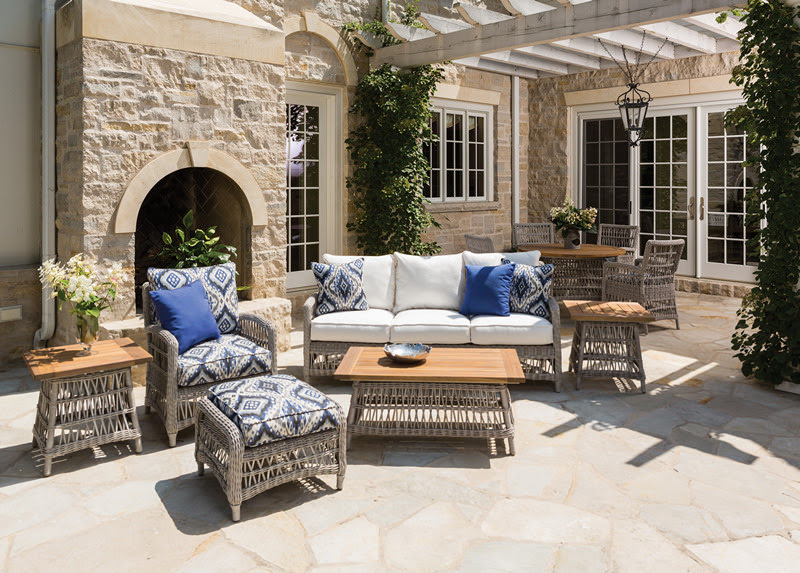 Lee is the ultimate in year round outdoor comfort. O.W. Lee has been a Southern California staple for over 65 years. Lloyd Flanders’ Mackinac line is the perfect balance between a classic, timeless, and comfort. This is one line that will never go out of style.